This is the last Really Random post of 2015. Wow. It's hard to believe this year is over in a few short hours. Levi was in a 2nd grade school production of the Grinch. Mark sang Christmas songs with the church choir. In a suit and tie--VERY unusual for him. In fact, I'm sure quite a few people were surprised that he even owned a nice black suit. But don't be fooled. His good friend, Steve Ewert, couldn't sing this year. They grew up in Minnesota; the family farms were one mile from each other. So underneath that white dress shirt, he wore a Minnesota t-shirt. Can't quite see it? Here's a closer look. As Mark mentioned to anyone who questioned him: The dress code was white shirt, black suit and black tie. "No one said anything about what was under the white shirt." This one's for you, Steve. While I haven't really felt like sewing for weeks (I sure how that changes quickly with the coming of the new year! ), I did just a bit for Christmas. The last Mid Century Modern bee blocks for 2015. And a quick pillow from four log cabin blocks that I discovered while looking for something else. We have a small-ish family--just my parents, Mark and me, Aaron, Christa and the four grandchildren. So Mark and I try to make gift opening last a little longer, since we adults don't exchange gifts, and the children only get something to wear (new pajamas every year), something to read, and something to play with. Mark might have some 'splaining to do as to how he came to possess actual police crime scene tape. Oops. But first, while the smallest one napped, we played a little game that turned out to be more fun than I had anticipated. Everyone was given a list that had first letters of common Christmas songs (SN = Silent Night, JB = Jingle Bells, etc.). They worked in pairs trying to figure them all out. Nana and Levi made a good team. Come on, Charlotte. What is GTIOTM? In the spirit of real competition, Aaron insisted that there be a time limit. And I think he and Charlotte ultimately were the winners. But it was a fun little game. Although I think Papa enjoyed spending time coloring with Ella more than trying to figure out the names of carols. Then we had dinner. Yum--so good. Finally it was time for the scavenger hunt. First up was reading this notice from the Department of Fish and Game. In the envelope along with the notice was a fork. Hmmm. Where should a fork actually be? The silverware drawer of course. And there they found a bunch of fabric scraps. Which led them to my sewing room and the infamous scrap bucket. After digging around, they found a bottle of shower gel, which led them to the shower. There they found a screwdriver, which led them to Grandpa's tool box in the garage. In the drawer labeled "screwdrivers," they found a coat hanger, which led them to one of the bedroom closets. After a few more clues, they finally discovered the stash of gifts. Gabe missed most of the fun as he wasn't feeling well and ended up spending most of the evening sleeping. All in all, it was a relaxing afternoon and a fun evening. The best part was just being together as a family. We got Ella and Amelia matching pajamas. This picture was taken a few nights later. Don't they look cute together? We tried to get a picture of them without their binkies. This is what we ended up with. "Please, just give us our binkies back...."
During the week I randomly located this photo from 2009. Oh dear, look at her now. Grandma to Charlotte: Please stop growing up so quickly. Her ears are newly pierced, a Christmas gift from her parents. Which led me to tell her the story of how at age 14 I was forbidden to get my ears pierced. While normally a very obedient daughter, I went against my parents' wishes and had a friend pierce my ears. Maybe some of you remember the days where an ice cube and a darning needle were used. Ouch! I purchased good-quality earrings for that little episode of rebellion, and they are now nearly 50 years old, which surely qualifies them as vintage. As of yesterday, they have been passed on to my favorite 9-year-old. This is our Christmas card from 2015. Here is why--new quilty inspiration of course. And I wish they came in my size. I'm ending with this photo. Ella is the best gift we received in 2015, as her adoption was finalized just last month. And now we will get to hold these precious little hands and watch them grow. I wish everyone a safe and happy start to 2016. 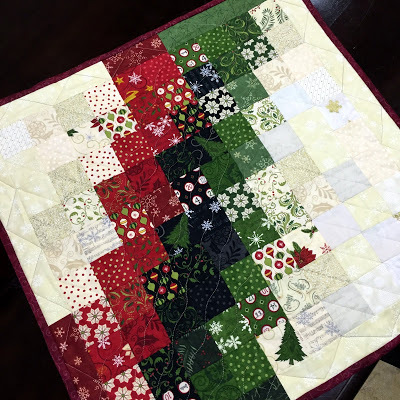 Kerry Goulder of Kid Giddy designed the cutest paper pieced pattern for a Christmas sweater block. I fell in love with it. You can find it in her etsy shop here. I have this little scrap of fabric that I have been hoarding. It's one of my favorite Christmas prints, solely because it always makes me laugh when I see it. Presenting Blowfish Santa and his motley crew of red and green reindeer fish. Kim of Persimon Dreams is having an ugly Christmas sweater contest. Whether this is a winner of the contest or not, I sure do love this block. I'm going to be making many more throughout the year so next year there will be a whole quilt full of Christmas sweaters! This quilt has been finished for quite a few months, but I don't think I ever posted anything about it. So there is an independent clothing store in Fresno, with this logo. One day, as a personal challenge, I decided to make a quilt with just the word "up." 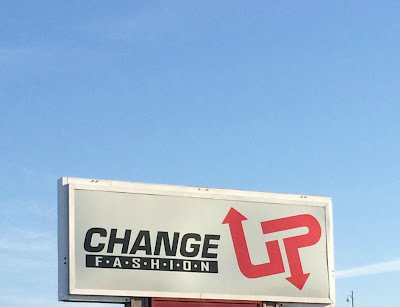 I like the word itself juxtaposed with arrows going both up and down. 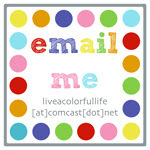 Thus the name: Just Point Me in the Right Direction. With so much negative space, it required lots of really fabulous quilting. And of course, I can always count on Darby. 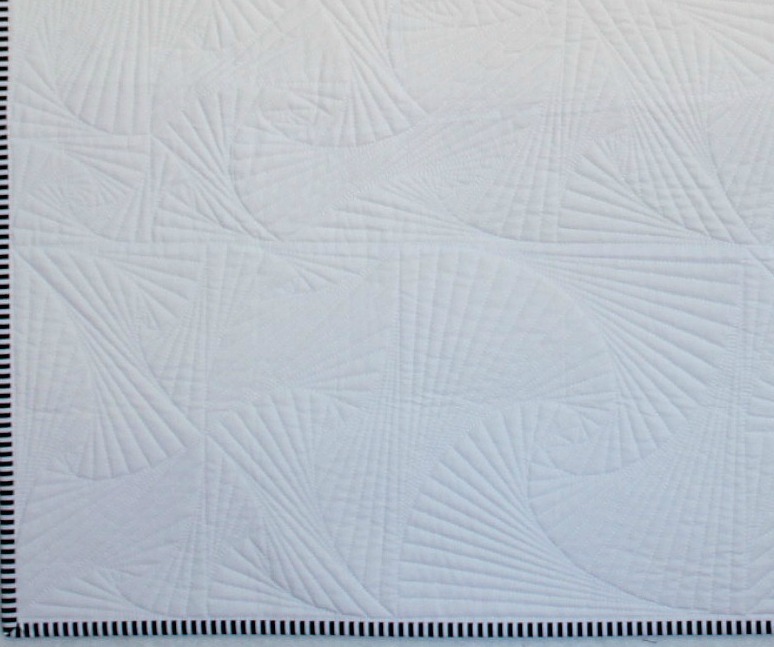 She did a beautiful job of custom quilting in all that white space. This is a departure from my usual style, and it is unlikely that this quilt will be hanging on the wall in our home. It was more of a personal challenge. But then it crossed my mind that it might have a tiny chance of being accepted for QuiltCon 2016. Last year I only submitted one quilt and it was not selected. "Not selected" sounds so much better than "rejected," don't you think? Especially when you see the many superb quilts which have not been selected for the upcoming show. Anyway, I received an email the other day with the judges asking to see a photo of the inspiration, as they thought it might be "too derivative." After sending them the above photo, it was indeed deemed too derivative and would not be accepted into the show without written permission by the owner of the store, who owned the rights to the logo. Yikes! I know this is getting wordy. But condensed version: I went to the store in the morning and as I kind of anticipated, there was a language barrier. The man behind the counter didn't seem to understand my request. Mark went back with me later in the evening, when another employee was at the store, who was able to translate my request. Ultimately it turned out that the person behind the counter was indeed the owner. He eventually signed a release form for submitting a quilt which had copied his store logo. 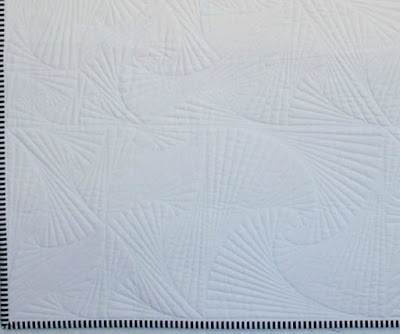 Nevertheless, I was still shocked to receive an acceptance letter, not only for this quilt, but also two others: Delta Breeze and I've Got Your Back (I actually submitted the back of the Bullseye quilt rather than the front!). 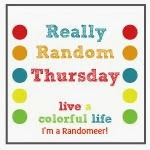 I'm linking up to Crazy Mom Quilts, TGIFF, Confessions of a Fabric Addict, and Fort Worth Fabric Studio. Enjoy your last week before Christmas! Our airport always has lots of decorated Christmas trees in the main terminal. Usually they have been done by different designers. This year all the trees looked the same, but still beautifully decorated. But the bonus was that there is a gingerbread village! Last week I took Ella and Gabe to see the trees and the village. There was even this cute bench so I was able to take some pictures of the two of them. It still boggles my mind to realize the adoption is complete and we no longer have to hide her sweet little face. Can you tell how much she loves her big brother? Obviously, the feeling is mutual. Oh, and I finished her Christmas stocking. It is a duplication of a stocking made many years ago for me when I was small. I made the first duplication when Mark and I married, and then for Aaron, his wife, Christa, and all the grandchildren. I love the vintage look of them. I had a meeting in a neighboring town, Reedley, where the regional MCC headquarters is. All up and down the sidewalk, over a block long, are these awesome tile patchwork blocks (sorry for the shadows). Also, speaking of Christmas, my new friend, Linda, made an awesome variation of Christmas in the City. She duplicated the gradated color scheme and was able to get much the same feel in this beautiful table topper. Isn't it just gorgeous? Her version is now on my to-do list. You can see more pictures and read more about it here. I also love that she calls it Christmas in the Canyon. I'm off to turn on the Christmas music and make that gift. Hope your next week is a relaxed one.